Truth is amazing! I am learning that going with the flow in life to be accepted makes me feel trappped, bored, and angry. Taking risk and being “me” is freeing and fills me with overflowing energy and love for life. Thank you Jon and Chris! Thank you for teaching me how to be me again. Doreen, thanks for your comments! You make a great point that when we try to fit in and conform we can feel trapped, less than whole and inauthentic. Glad we were able to assist you to be the true you again! 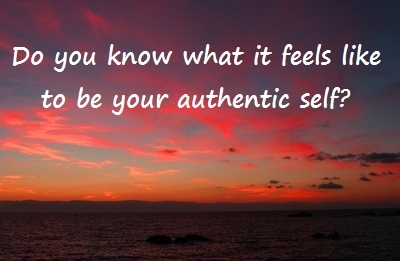 That’s what authenticity is about…living your Truth. Being authentic is being at peace within my heart. Doesn’t matter what people think, I live an authentic life connecting with my truth Self, the Divine power of the Universe, the Source, the timeless. I Am. Thank you for sharing your spiritual teachings. You are so welcome, Monique! Yes, being authentic is being at peace. It is living in the present moment and living your truth. Thank you for your comment and continue to experience and share your peace!